"This Miniature Reproduction is one of the many Authentic pieces of finely crafted furniture and accessories of our American Heritage which have been created for your enjoyment in the X-ACTO® House of Miniatures Collectors Series." The words above appeared on the cover of every mail order kit produced by X-ACTO beginning in 1976. 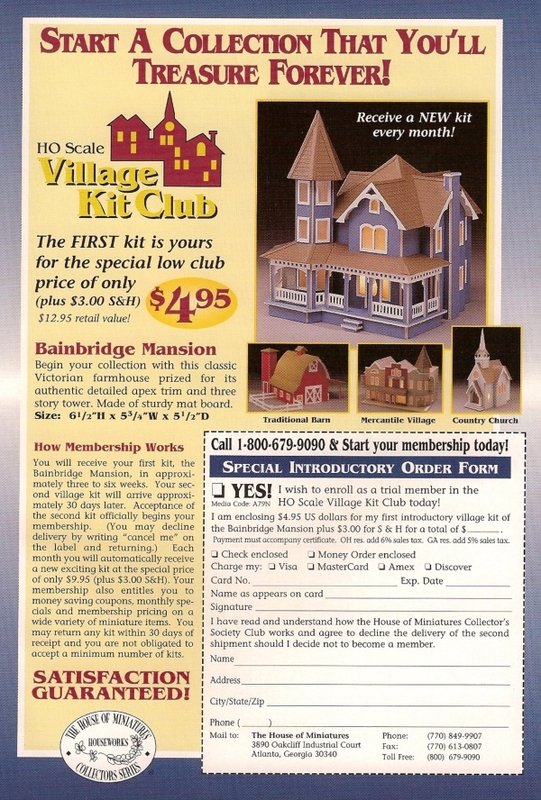 Their full page ads in miniatures magazines enticed us to join the exclusive club of The House of Miniatures™ Collector Series members who would receive about one kit per month from this well designed series. Over the years you could also purchase finishing kits, a room box, hardware and other mini accessories, but the historically correct furniture was always the real draw. 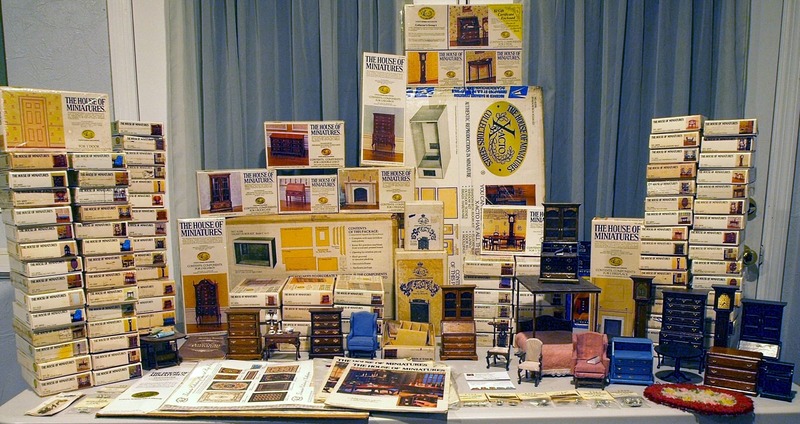 The kits, sa well as supplies, room boxes, stains, dishes, and finished miniatures could be purchased in miniatures stores, and sold well until the hobby itself died out in the 1990's. Chippendale, Hepplewhite, Queen Anne, Duncan Phyfe; these were names that conjured up images of the finest antiques and exquisite craftsmanship. It was no mistake that these designs were chosen for reproduction by X-ACTO™, since they guaranteed association with our American heritage, a popular theme in the wake of the American bicentenial celebration 1976. On this site I will attempt to chronicle the history of the brand through its various owners; CBS, Hunt Mfg, Craftmark, and Houseworks Ltd. I've also posted a library of ads & catalogs published for HoM. Another feature is a semi-complete listing of the products that were offered over the years, with photos and links to PDF scans of the instruction sheets, where available. And please join the discussion on our Facebook page where you will find pictures of completed kits and other miniatures. It is also a place to ask questions and find advice, or even to search for that elusive kit you have been wanting! Looking for something specific? Search the whole site here! Okay, so who is running this web site? Is it official? Although this is NOT an OFFICIAL The House of Miniatures™ website, I did contact the Houseworks administrator at Hobby Builders´ Supply and they said they would have no objection to me operating an informational web site. My name is Colin and I´m a House of Miniatures fan. Below is a photo that shows the extent of my addiction. For me it all started around Christmas of 1977 with a subscription to the monthly kit club. Five of my original kits are in that picture.